Prince Harry and Meghan Markle will get married at St. George's Chapel at Windsor Castle in May, Kensington Palace announced today. St. George's Chapel in Windsor Castle is a smaller venue than Westminster Abbey, where Prince William and Kate tied the knot in 2011, and St. Paul's Cathedral, where Prince Charles and Diana wed in 1981. "St. George's Chapel in Windsor would give them a little more of a low-key wedding," ABC News royal contributor Victoria Murphy said. "It's a bit smaller, it's outside of London, and that would just give them the opportunity to maybe have it a little bit more personal, a little bit more low-key, which is what Harry can obviously do, since he's not going to be the king." Harry’s father, Prince Charles, celebrated his second marriage to Camilla, the Duchess of Cornwall, who was also a divorcee, at St. George’s Chapel in 2005, with a civil ceremony and service of blessing. Queen Elizabeth II will attend the ceremony, and the royal family will cover the bulk of wedding expenses, the palace also announced. Markle, who is Protestant and attended Catholic school as a child, will be baptized into the Church of England before the wedding. After Harry and Markle's engagement was announced Monday, all speculation has turned toward the details of their wedding. The exact date in May and the location of the wedding reception have yet to be announced. 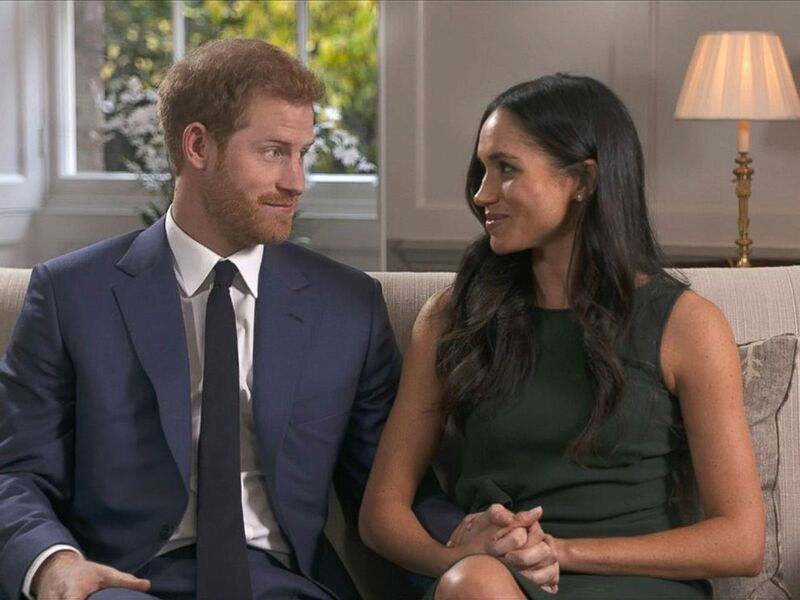 The couple will take an active role in planning the wedding themselves, Harry's communication's secretary, Jason Knauf, said today, and want the day to be “fun” and reflective of their relationship. "The couple of course want the day to be a special, celebratory moment for their friends and family. They also want the day to be shaped so as to allow members of the public to feel part of the celebrations too and are currently working through ideas for how this might be achieved,” Knauf said. "This wedding, like all weddings, will be a moment of fun and joy that will reflect the characters of the bride and groom." Britain's Prince Harry and his fiancee, U.S. actress Meghan Markle give their first interview following their engagement, Nov. 27, 2017. 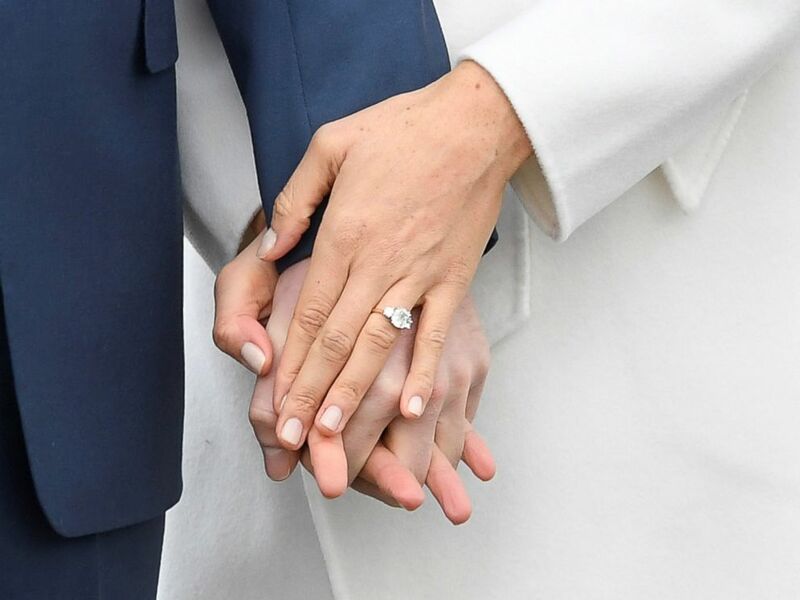 Britain's Prince Harry holds hands with Meghan Marklem wearing an engagement ring in the Sunken Garden of Kensington Palace, London, Nov. 27, 2017. Their modern love story marks a break from royal tradition in many ways. She will be the first biracial woman to marry into the royal family. An American actress who was raised in Los Angeles, she is three years older than Harry and is a divorcee. Her marriage to film producer Trevor Engelson ended in 2013. But because Harry is fifth in line to the British throne, their upcoming nuptials will most still likely be filled with royal traditions, insiders say. "The wedding will form the pattern of royal weddings," Murphy said. "Harry would probably love to go away and do it in secret on a beach, probably in Africa if he was able to. However, he knows that that's one thing that he's not going to get away with. "He's a member of the royal family. He's fifth in line to the throne. He's going to have to have a royal and a public wedding." Harry's marriage to Markle will mean that both children of Charles and Diana are married. A factor that may have come into play in choosing the wedding month is Kate's due date. She is pregnant with her and William's third child and reportedly due in April, leaving many to speculate that a wedding would not take place until after the birth. Kensington Palace announced today that Markle intends to become a U.K. citizen and retain her U.S. citizenship during the immigration process, which will take several years. After the wedding, Markle will become a patron of the Royal Foundation of the Duke and Duchess of Cambridge and Harry, which serves as the main vehicle for their philanthropic activities. Their first event together as a couple will be Friday in Nottingham, where they will visit the Terrence Higgins Trust, the U.K.'s leading HIV and sexual health charity, which is part of the foundation. "Prince Harry has spent a significant amount of private and public time in the city and His Royal Highness is looking forward to introducing Ms. Markle to a community that has become very special to him," the palace said. The couple will live together in Harry’s Nottingham Cottage residence on the grounds of Kensington Palace for the foreseeable future. There are no current plans for them to relocate to an apartment in Kensington Palace.